Anniversary Memory Box - What would you put in yours? 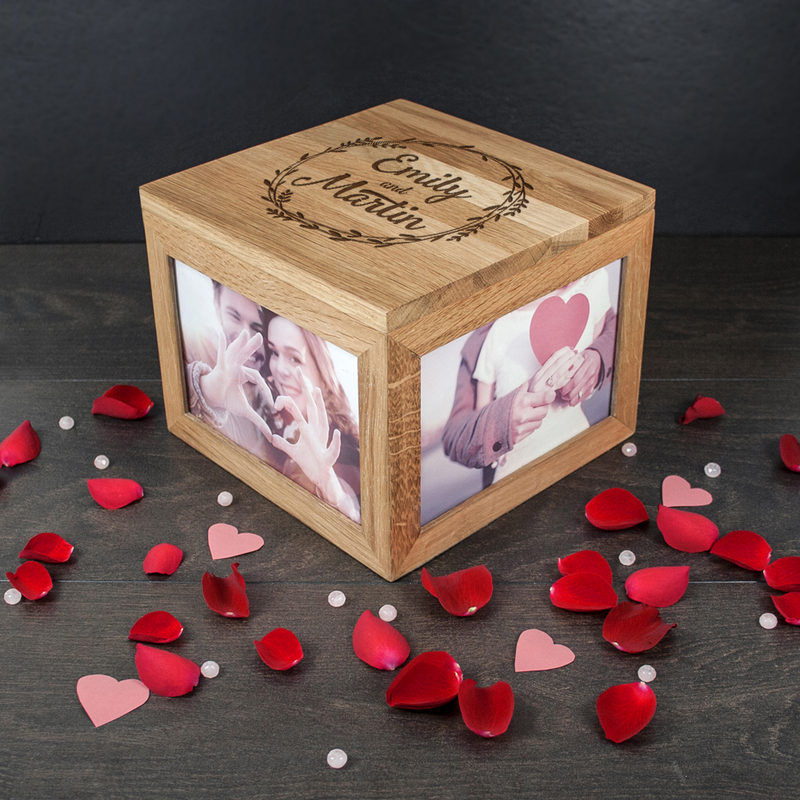 An Anniversary Memory box is a lovely gift that will be used every year and one that will be filled with treasured memories. Can you imagine yourselves 50 years from now opening up your own keepsake box and looking over all those good times you have shared? 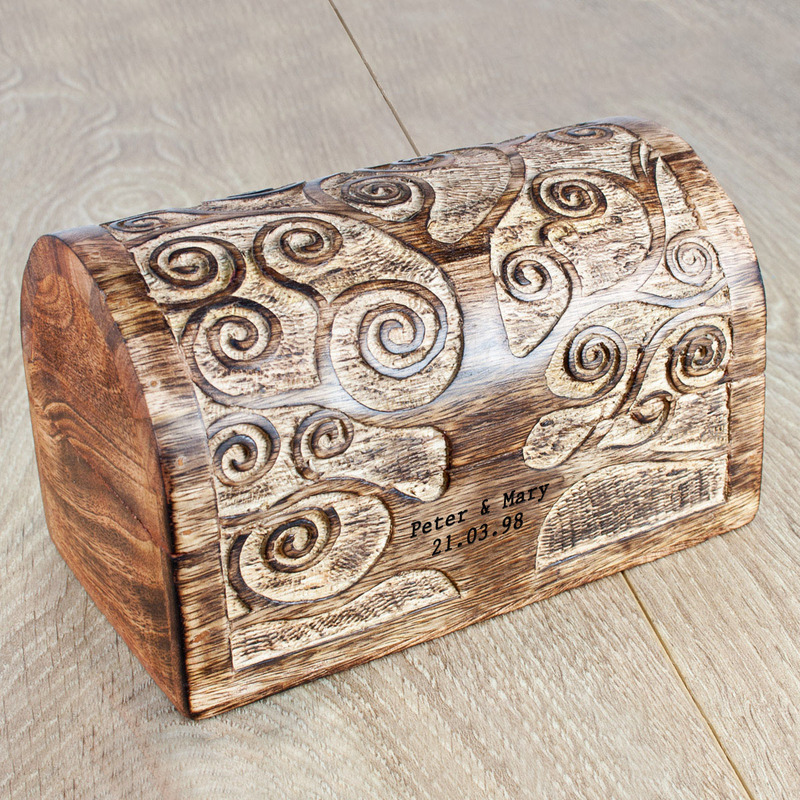 It is such a special thing to do and even more special to give a Treasure box as a gift. But where is the fun in gifting an empty box? It would be much more fun to start them off on their journey with a few memories that you have enjoyed. These beautiful memory boxes are available in our Gifts Store, where they can be personalized with names and wedding dates. Making them a beautiful personal Anniversary Gift. 1. A really old photo of the two of them that you have, hopefully with a questionable haircut and fashion of the decade! 2. A concert ticket or CD of their favorite music from when they first started dating. 3. A souvenir from the place that they had their first date – it could be a menu, a flyer from a club or even a postcard. 5. A photo or photos from their wedding day that you took and they may not have seen. 6. A photo of their first house together and more houses if they have lived in quite a few. 10. And how about a list of items that they need to find to put in their Anniversary Memory Box before they disappear, it will be like their very own Anniversary Treasure Hunt! A souvenir from their wedding day – confetti, a pressed or dried flower, wedding cards they received.